they only way to heard this album is this LP.. You cant feel the true music from any kind CD. Only from this original LP. The difference are massive.. I have a Seoul Records. Inc. on cassette. Code SIPC-033 (N 0122-2) Release to press first in the same format. Did someone have the same copy? 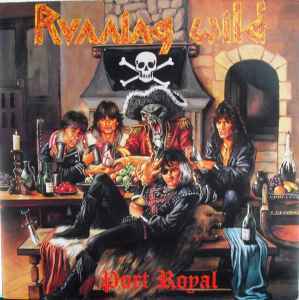 RUNNING WILD - PORT ROYAL (LTD EDITION 500 COPIES PICTURE DISC, DIE-CUT "NOISE" SLEEVE +INSERT) LP, 2016 ? My copy has the bar code on the back sleeve but the labels have the big NOISE letters, so it's a mix of the two versions, this and the first pressing. Do i have another release? This was the closest one i could find on Discogs.